Guia de Isora’s drive to attract upmarket tourism continues to gain force with the early stages of planning approval for 2 new luxury hotels in Playa San Juan. Town Mayor Pedro Martin said that that a new zoning plan has been agreed by the council after lengthy negotiations with other levels of administration and with the companies behind the project, which will see a total of 1,100 new hotel beds added to the area, along with an upmarket thalassotherapy centre. “We are adamant we only want a few hotels and the ones we do allow must be 5 star” explained the major. The council will also go ahead with public works which will improve parts of San Juan, particularly those close to the locations of the new hotels. 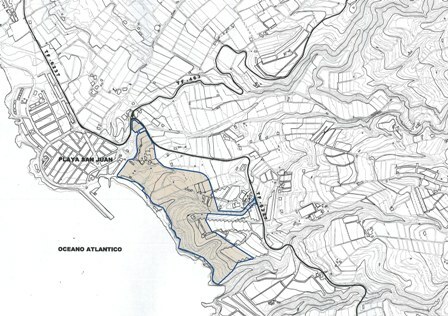 According to the mayor there will be a new connecting path created between Calle Artes de Mar (the road that goes down to the beach) and a new urban zone which will also boast one of two new public parking areas for the town, the other to be constructed near the Agua Dulce neighbourhood and the TF47 and the new hotel sites. According to Martin the council’s planning is three-fold. 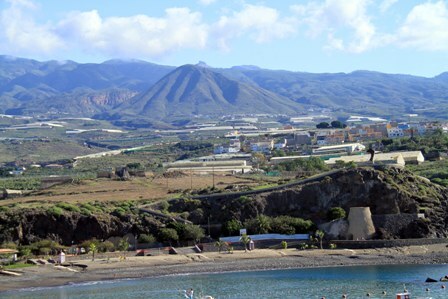 “One, to acquire and develop more public spaces which will happen within the plan: Two, to see two new luxury hotels built with the intention of turning Guia de Isora into a reference point of the world of tourism, and last but not least to inject some economic life into the zone”. Regarding the latter, the mayor said that the economic benefit of having 5 star hotels in the area were two way, “just as the hotels will benefit from having a beach nearby, the beach wins too by having such hotels in the proximity with people coming and going, commercial activity and an increase in the leisure activity”, all leading, it is hoped, to economic benefits for the area. Council approval has now been sent to the regional government as well as the Cabildo and the Costas department and once all the approvals have been received work can begin.